Vodafone is market leader, followed by AMC and Eagle Mobile, with Plus as smallest network. 2G/GSM is on 900 and 1800 Mhz, 3G/UMTS on 2100 Mhz. Plus has still 2G coverage only, that's why they are not on the list. 4G/LTE is not available yet. 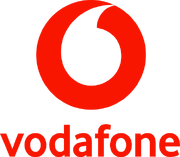 Vodafone is leader in Albania with the best coverage in 2G and 3G in the country. The last mentioned plan is a community plan. This means you get cheaper rates to other people with the same plan. But you have higher rates to other Vodafone customers and other networks. If you want to switch between these two plans Vodafone charges you 250 or 500 Lek. The Vodafone Club SIM card costs 500 LEK, and includes 400 LEK credit, Vodafone Card costs 500 LEK including the same credit. To activate call 131 and follow instructions. To check remaining data allowance, SMS to 131 twith any text in body. Package can be renewed ahead of time. Vodafone Mobile Broadband has no voice access. Default rate outside of bundles is 12 Lekë/MB. The recharge is made by sending the 12-digit code of the scratch card via SMS to 141 or through calling 142 from a Vodafone mobile number or through Vodafone E-Top Up. You can receive information on you credit by sending a SMS for free with the text “Balance” to 141. AMC is Vodafone's strongest competitor in Albania. Its 3G network reaches 95% of the country. Their tariffs only differ in voice and text, but not in data. So choose the cheapest one available. AMC Mobile Broadband has no voice access. Default rate outside of bundles is 12 Lekë/MB. Through another mobile phone (mobile number) calling at +355681000141. Eagle Mobile is the 3rd mobile provider in the country. It started with 3G in 2012. So the coverage is still limited and much less then the two big ones. Eagle offers a standard voice plan for prepaid with data addons. The starter pack costs 200 Lekë, including 100 Lekë credit. The default rate for data is 0.10 Lekë per MB. The speed will be reduced to 384 kbps in download and 96 kbps in upload for daily and weekly internet packages after the consumption of 1 GB within the validity period. Eagle Mobile offers internet service with a speed of up to 42 Mbps download and 21 Mbps upload in a very limited area. Packages don't renew themselves.